The UX11 drone from DelAir. Commercial drone-maker Delair has introduced a professional unmanned aerial vehicle (UAV) for survey-grade photogrammetric mapping. The UX11 is a small fixed-wing UAV that combines a powerful integrated onboard system, industry-grade sensors, limitless communication range and PPK centimeter-level positioning. It carries enough onboard computing power to access and process the pictures, then sends them to the operator in real-time. According to the company, it will run automated quality checks on the images (such as blur detection or overlap checks) to help ensure the operator is acquiring quality data. The UX11’s redundant communications system includes a proprietary line of sight radio and 3G/4G connectivity between the ground control station and the UAV using a worldwide machine-to-machine pre-paid plan. 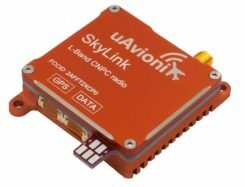 Building on Delair’s experience with beyond visual line of sight (BVLOS) operations since 2012, the UX11 is ready for BVLOS flights with unlimited range and adds a new level of safety with this communication link. The UX11 is lightweight, ultra-stable, simple to hand-launch at takeoff and it lands precisely where planned using distance measuring technology. New user-friendly Android mission planning software boasts innovative features such as support for in-flight camera feedback and live data review, the company said. Made to help professionals in GIS, survey, and construction optimize area coverage per flight, the UX11 flies for 59 minutes with the best coverage and resolution specifications in its class for flights at 122 m (400 ft) altitude above ground level. The UX11 will be available for purchase via DELAIR’s global network of distributors by January, 2018. 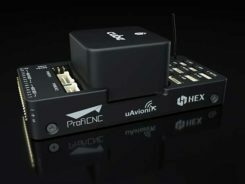 The UX11 is a product offer for data acquisition which can be complemented by data processing and analytics software programs to address a range of commercial applications. Geospatial users can create 2D and 3D models and then generate elevation profiles, contour lines, slope qualifications and volumetric estimates with high accuracy and resolution using post-processed kinematic data and ground-control points.